Opera Rara is delighted to present a unique opportunity to hear two of the world’s outstanding bel canto stars, Joyce El-Khoury and Michael Spyres, singing live in London in a very special operatic event. 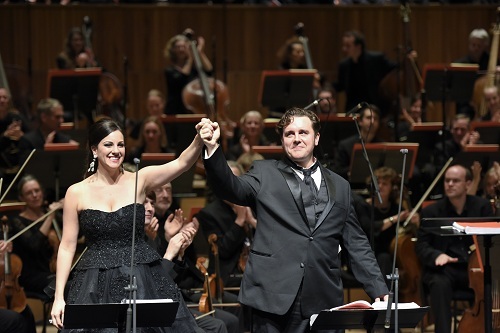 Fresh from triumphant appearances at the Royal Opera House, and working with internationally acclaimed conductor Carlo Rizzi, these two world-class artists join forces with the Hallé, making a rare visit to London, in an evening of 19th century operatic treasures including some music which has never been heard before. Download the PDF below for further details.